Enjoy entertainment at the touch of a button with the seriously smart Series 6. Watch your favourite movies and TV shows in stunning 4K Ultra HD, with Precision Colour delivering over 16 million colours for an enhanced, more accurate viewing experience. Featuring all-new VIDAA U 2.5 with our exclusive RemoteNOW app, never has a Smart TV been easier to use. Watch your favourite movies and TV shows in stunning 4K Ultra HD. Super Contrast enhances the details between the lightest and darkest areas of the screen, providing an experience that really pops. Precision Colour delivers over 16 million colours for an enhanced, more accurate viewing experience. A new lightening fast Smart TV operating system designed specifically for you. A simplified user interface that’s customisable! Customise your favourite channels for faster access, view real-time program information and cast to the TV to view your photos and videos on the big screen. Now that’s smart! This setting allows the TV to display the gaming console at full speed directly to the TV, bypassing other features that 4K HDR consoles do not need to operate. Sports fanatics will rejoice at the introduction of the new ‘Sports Mode’ feature, a specially designed viewing mode that enhances horizontal motion and perfectly matches the game you’re watching. High Dynamic Range technology makes it look like you are looking through a super-clean window into a real life scene. First thought never heard anything bout this brand for a TV, and I’m consider to buy the well-known brand. But turns out, compare to the well-known one, this one is better for the price and value. As I’m plug it in at my house, everything seems perfect from the price to the quality picture. I would recommend this for sure!! Great TV, easy to set and great value for money. Fantastic service as well and next day delivery. 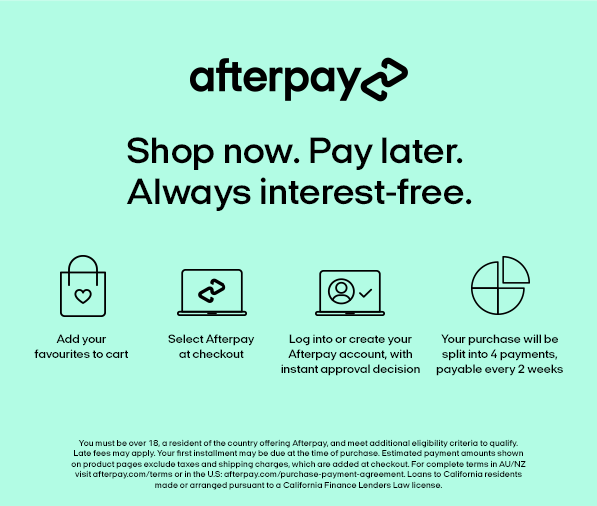 Easy payment via afterpay.